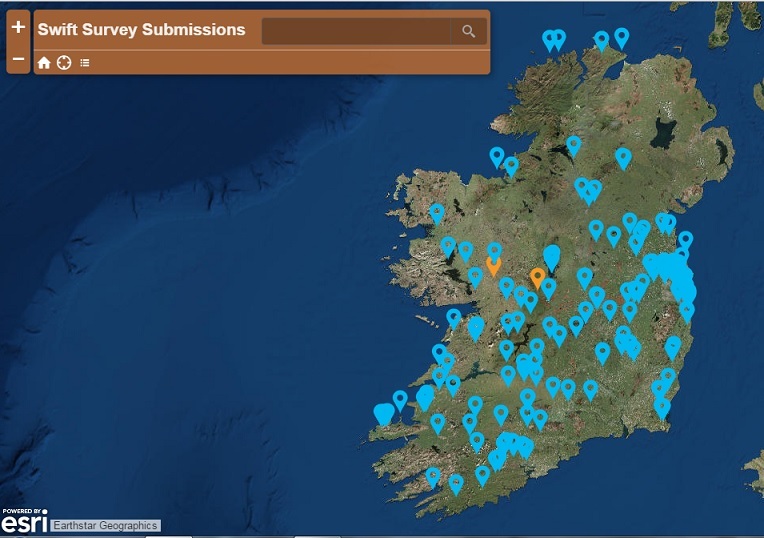 In June BirdWatch Ireland launched a new online Swift colony mapping tool made possible by funding from the Heritage Council. The people of Ireland responded in force to our call for records and over the summer months and the relatively short swift nesting season we received well over 200 individual online submission from all across the country detailing swift nest sites and colonies. In addition, individuals and BirdWatch Ireland branches submitted a number of bulk county records gathered during the same period. 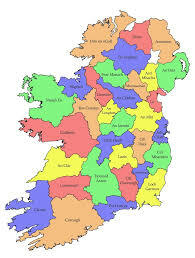 For example, In Kildare the BirdWatch Ireland branch members managed to survey a total of 24 towns and villages in the county, an incredible effort. All these records together with other historic records will be accumulated and combined over the coming weeks and months and we will report back on the final tally later in the year. 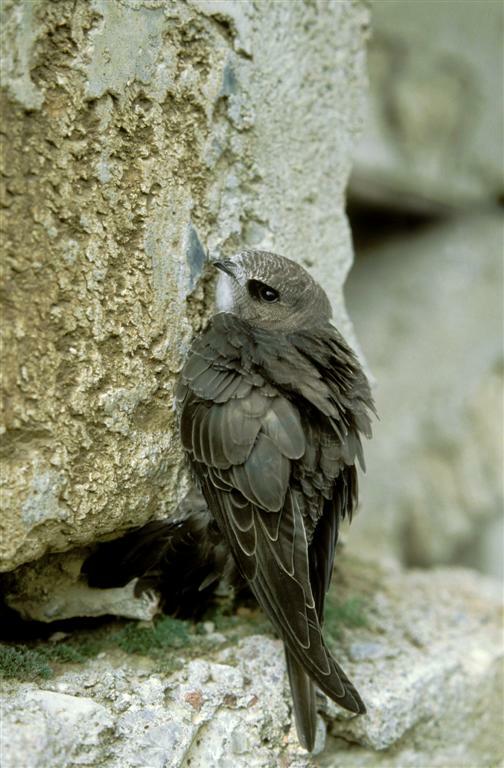 Due to the ongoing challenges swifts face, it is paramount to this species survival on the island of Ireland that we continue to identify their nesting locations in order to protect them. Make sure to go to the online map and submit any records you have from the past season, it’s not too late, so dust off your notebooks and dig out those records and get them into us. Lastly a huge thanks to all who have taken the time survey your patch for swifts and submit your records.